To provide a social environment for the men of the Parish to share in Christian fellowship. To promote and sponsor parish activities to bring together individuals and families within the parish and the broader community; and substantially contribute to the well-being of the parish through contributions of time, talent and treasure to projects not included in the regular operating budget of the parish. The Men's Club was formed in 2002 and since that time has contributed many man-power hours and dollars to help out local food shelves, our church cemeteries, storm victims and our own parish. 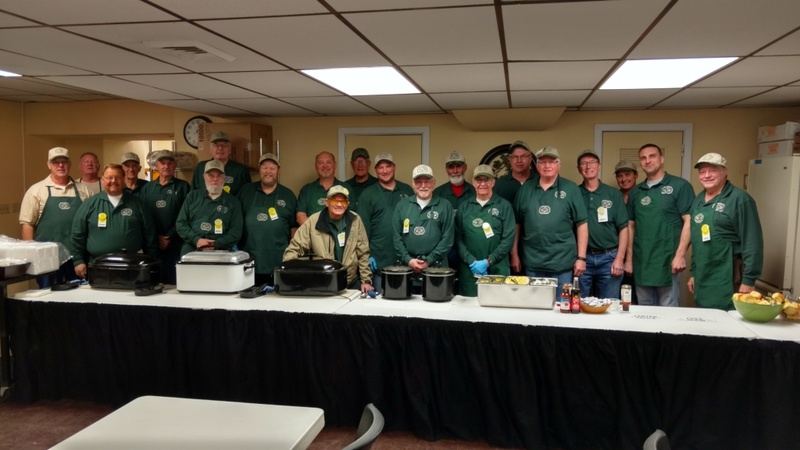 The Men's Club raises money and provides fellowship through pancake breakfasts and the famous Lenten Friday Fish Fry's held every Friday in Lent in Fortin Hall. Membership: Open to all men of the parish. Meetings: First Monday of the month in Fortin Hall at St. John's Campus-Hugo at 7:00 pm.